Join us for a free webinar on Wednesday, June 20, 2012 at 4 p.m. GMT/ 12 p.m. EST / 11:00 a.m. CST / 10:00 a.m. MST / 9:00 a.m. PST. 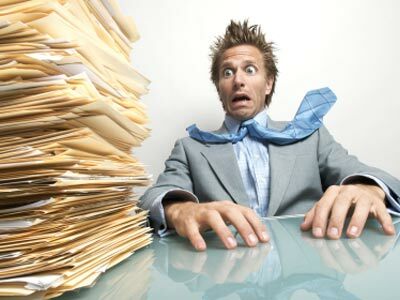 Have you recently thought about the structure and effectiveness of your document management system? Are the initial choices you made when implementing it still serving your business needs? Join this webinar to hear about two firms’ efforts to improve their document management systems. The presenters will discuss the implementation of best practices, standardization, naming conventions and business processes that can better capitalize on document retrieval, records management and knowledge management initiatives. Joshua Fireman, CEO of Fireman & Company, is a respected leader in knowledge management, noted for achieving the field’s ultimate goal of having active contributions to an institutional knowledge base. Joshua was previously the vice president and general counsel of ii3 and designed enterprise-class solutions. Prior to joining ii3, Joshua led the development of McCarthy Tétrault’s knowledge management system. He can be reached at joshua.fireman@firemanco.com. Cindy Mahoney is a Senior Systems Administrator at Ropes & Gray LLP in New York. She has 10 years of experience with iManage as a document management administrator, project manager, development manager and consultant. Cindy currently serves on the ILTA Enterprise Content Management Peer Group Steering Committee, is a member of the DocAuto Advisory Board and is an ILTA City Rep for New York City. She is a certified Project Management Professional and can be reached at cynthia.mahoney@ropesgray.com. Monroe M. Horn is the Chief Technology Officer at Sunstein Kann Murphy & Timbers LLP. He can be reached at mhorn@sunsteinlaw.com.